You must be a member of the Bochum Movies & Games Group to attend this activity. Would you like to join this group? 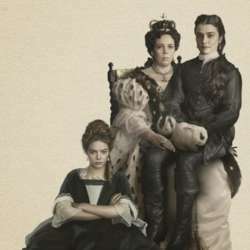 Let's watch the new movie by Yorgos Lanthimos "The favourite" for our next movie night. The movie sets in the early 18th century and examines the relationship between two cousins vying to be court favourites of Queen Anne. This film received critical acclaim, with praise given to its screenplay, direction, cinematography, music, costume design, production values, and its three lead performances. Among other awards, "The Favourite" received five Golden Globe Award nominations, including Best Motion Picture – Musical or Comedy and Best Actress.